We've refitted this 2013 JKU with a Teraflex Long-Arm upgrade, Dynatrac ProRock Axles, Fox Shocks, Eibach Coilovers, a PSC Gearbox, Currie Anti-rock sway bars, 40-inch tires, and more! ProComp $500 rebate on select suspensions! 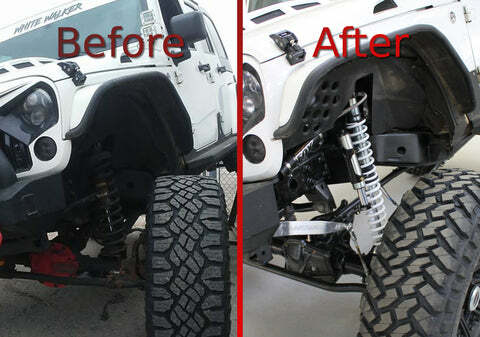 Save %10 on select Poison Spyder corners!